The South Dakota Association of Cooperatives and the South Dakota Farm Bureau are urging South Dakota voters to reject proposed Constitutional Amendment T on the November ballot. If passed, this amendment would remove 105 elected representatives from the legislative redistricting process and place it in the hands of nine unelected individuals. The two groups point out that under the current system, the 2011 redistricting maps developed by the Legislature reduced the number of divided rural counties from seven to three. “The effort to keep rural counties as whole as possible makes sense for voters and for those elected to represent us in Pierre,” said Mike Held, lobbyist for the SD Farm Bureau. The Winner and Colome Future Farmers of America chapters attended a land and range judging school in Woonsocket on Sept. 7. There were 26 students—17 from Colome and 9 from Winner—that either participated in land and soil evaluation or range management and plant identification. This was a record year for Woonsocket land and range school attendance with more than 450 students from around the state participating. Students used their knowledge from the ag classroom for a hands on application at the event. In the land division, students identified soil characteristics, how those characteristics apply to land use and classification and determined soil health through types of erosion that takes place. The range division requires students to identify species of native and non-native range plants, characteristics of the plants that affect pasture management and evaluate grazing practices of the land. This is the first time Winner FFA or Colome FFA have participated in either of these events. This event helped to prepare members for participation in the state sponsored western regional contest in Wall. 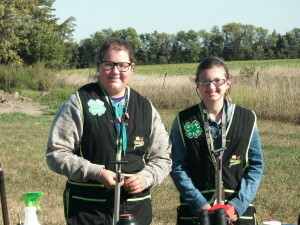 Local 4-Hers placed at the state 4-H muzzleloader tournament Sept. 10 at the Mitchell trap club. First place in the junior division went to Wyatt Weller, Gregory. Results of the senior division include: Mary Nold, Brookings, 1st; Emily Foiles, Raymond, 2nd; Spencer Schulte, Brookings, 3rd; Shannon Weller, Gregory, 4th and Megyn McCarthy, Burke, 5th. Shannon Weller, Emily Foiles and Spencer Schulte were on the team that competed at the national championship in Grand Island, Neb., in June. Dale Foiles is the coach of the national team. John and Marie Condon of Millboro help at the national tournament. John and Marie Condon are the local muzzleloader instructors. 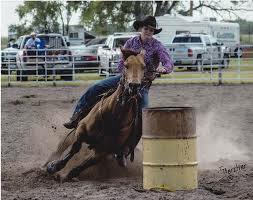 Dori Hollenbeck, Winner, is the reserve champion barrel racer in the Nebraska State Rodeo Association. Hollenbeck competed in the NSRA Championship Finals Rodeo September 9, 10, 11 in Valentine, Neb. Dori split first in the first go around with a time of :17.90, fourth in the second go with a time of :18.13 and second in the third go with a time of :17.91, placing her second in the average winning $2,182.00 bringing her total earnings for the season to $11,525.00. Several states were represented at the Nebraska State Championship Finals Rodeo. SD, NE, CO, WY, TX, AZ, IA, OK and KS. Hollenbeck Rodeo Co., Winner, was one of the stock contractors chosen to take stock to the NSRA finals rodeo. 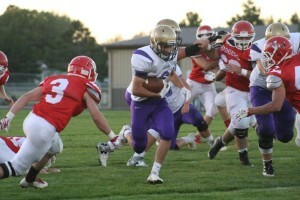 Winner High School football team remained undefeated with a 48-0 victory over Valentine, Neb., Friday night. This was an interstate battle between two undefeated teams and the Warriors handed the Badgers their first loss of the season. This is Winner’s 10th consecutive win over Valentine. 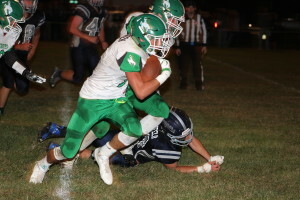 Colome football team defeated Burke/South Central 46-8 Friday in Bonesteel. Colome, 2-1, hosts Avon for homecoming on Friday, Sept. 23. 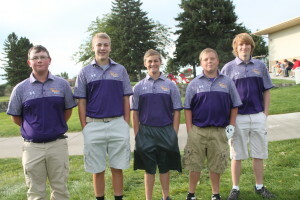 Chamberlain boys golf team took first place at the Winner Invitational golf meet on Sept. 13. Matt Hartley of Winner shot a 126. The medalist was Tiegen Priebe of Chamberlain. Nathan Monk led the Winner junior varsity golfers as he placed fifth. Also golfing for the junior varsity were Jayd Whitley, Gage Watson and Jared Amidon. 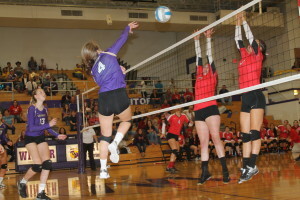 Winner Lady Warriors volleyball team placed third at the Big Dakota Conference tournament Saturday in Ft. Pierre. Alexis Richey and Abby Marts were named to the all tournament team. In the first match, Winner defeated Cheyenne Eagle Butte 25-7 and 25-13. Winner beat Chamberlain in 3 sets—27-25, 22-25 and 25-22. Winner was beat by Mobridge in two sets—20-25 and 20-25. Miller defeated Winner in two sets—17-25 and 25-27. Both the Winner High School boys and girls cross county teams took second place at the Lyman Invitational on Saturday. In the girls varsity, Sidda Schuyler took 2nd. She was followed by Sam Schuyler, 7th; Chloe Bartels , 8th; Jaclyn Laprath, 10th; Aryn Meiners, 15th and Meagan Blare, 49th. In the varsity boys, Izak Moleterno led the team as he placed 6th followed by Kade Watson, 13th; Wyatt Turnquist, 21st and Dawson Phillips, 29th. 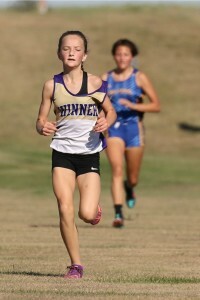 Winner Area girls cross country team finished second in both the Big Dakota and Chamberlain Invite on Thursday. Leading the varsity girls was Sidda Schuyler who placed 3rd; Chloe Bartels, 9th; Sam Schuyler, 12th; Jaclyn Laparth, 13th; Aryn Meiners, 19th; Meagan Blare, 46th. Leading the varsity boys was Izak Moleterno who took 11th. He was followed by Kade Watson, 33rd; Dawson Phillips, 49th; Wyatt Turnquist, 64th. Coach Jayd Schuyler says the Chamberlain/Big Dakota meet is a bigger version of the Region 4A meet. “We ran well. Izak Moleterno keeps improving every race,” said Schuyler. He said going into the meet the varsity girls knew there were five teams capable of winning the meet. “It came down to us and Todd County and we got edged by a point in the Class A scoring. 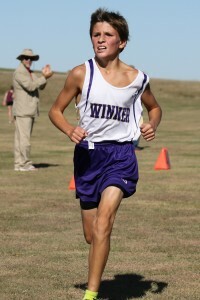 It is shaping up to be an interesting region meet,” said Schuyler.